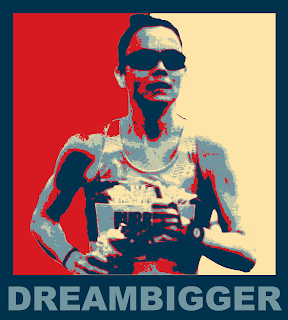 Have you considered trying to run Berlin in Sept 2016? I have no idea what the elite field will look like, given Rio less than 2 months earlier, but I've run the course and my overwhelming thought afterward was: I see why this course is always the world record. Just an idea! Looking forward to reading along on the road to 2020. Interesting idea! I don't think it's in the budget at the moment, but it would be fun to do Berlin someday! Yay Teal!!! 4 more years of awesome blog posts guaranteed :P No really, reading this makes me so happy! I just love your "hunger" and I especially love your attitude. You train hard and then you deliver. And if what you delivered wasn't good enough for you, you evaluate and try harder the next time. A standard it is - I have no doubt in my mind that you'll be able to achieve that. It won't be easy, it'll take time, but you'll def get there! Thanks, Jenn! It's certainly a fun adventure to continue! Hi Teal! Found your blog looking for Boston Marathon advice, and I just wanted to tell you how inspirational I've found your posts. 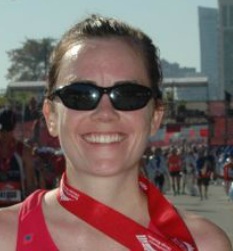 My first marathon time was similar to yours, and qualifying for Boston has always been my ultimate goal. However, now you've got me thinking I could qualify for the Swiss Olympic team someday. Thank you for sharing your story, and good luck with continuing your journey to the trials! That is awesome!! Go for it! Wonderful!! I'm so pleased to hear about your new goal and the fact that you'll continue to blog about it. I find your attitude and your work ethic so refreshing in this era of blogging that seems to be all about short cuts to how to get faster. There are no short cuts, just hard work and it's a joy to follow your progress.